Nuts & Hexes are vital pieces of equipment for rock climbing and offer passive protection when traditional climbing. 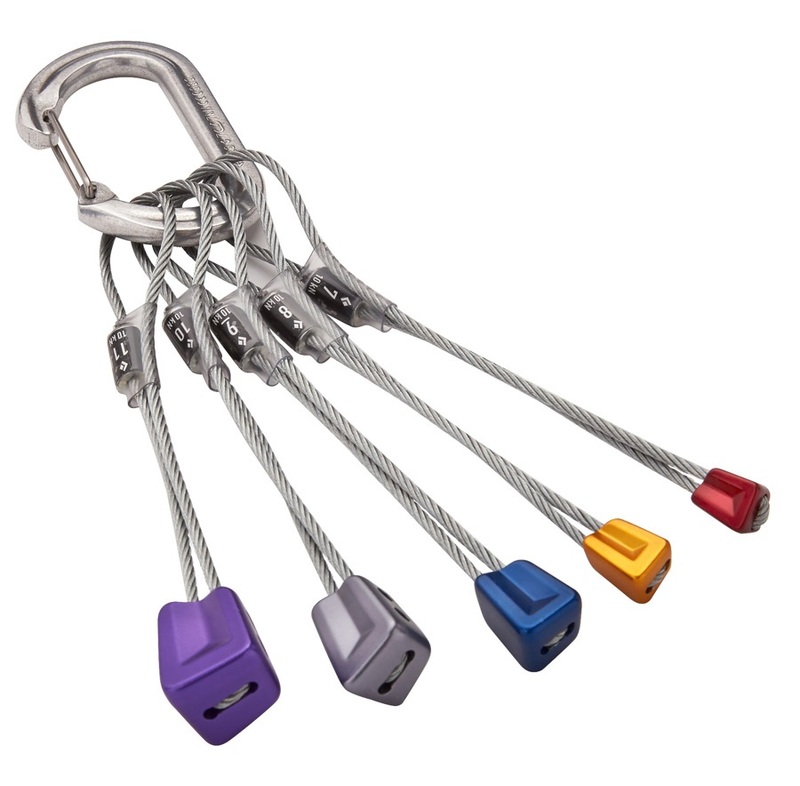 They are a vital piece of climbers equipment used throughout the UK for trad, single pitch, multi pitch, big wall and setting up anchors. Pick and choose individual nuts and hexes in different sizes to build up your own customised rack or find a standard set with a range of sizes. DMM Brass Offsets package sizes 0-6. The Black Diamond Offset Stoppers add versatility to your rack by utilising offset geometry for pin scars or irregular cracks while free climbing or aid climbing. Classic Black Diamond Nut Extractor with wire gate clip attachment. Great value, lightweight Anodised Rock Wire Nut by Wild Country - size 9. 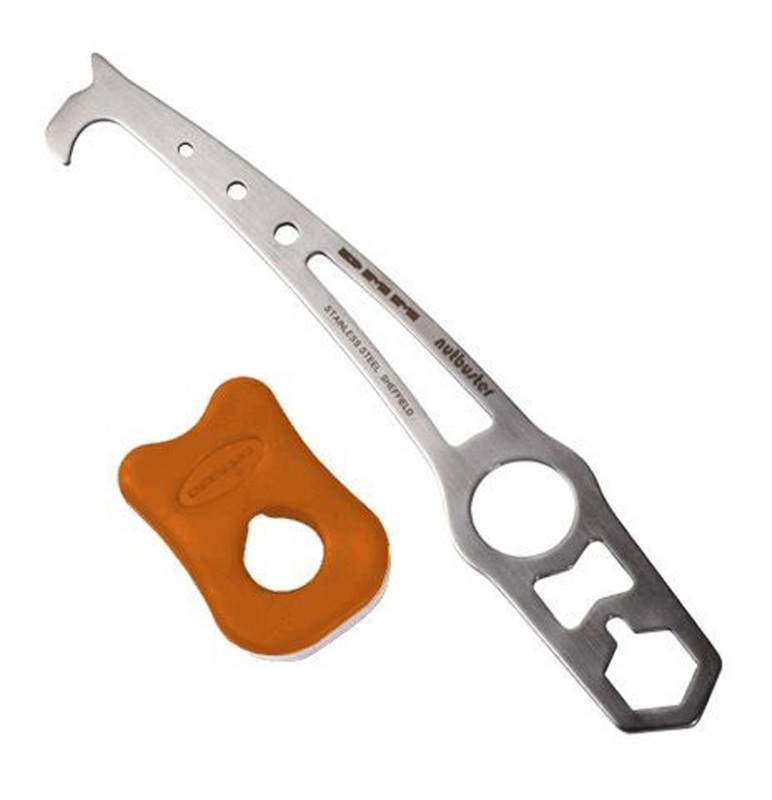 Black Diamond No.1-13 stoppers are an essential piece of gear for every trad rack, designed with a transverse taper that permits sideways placements in a variety of cracks, flares and shallow seams. Black Diamond No.5-11 stoppers are an essential piece of gear for every trad rack, designed with a transverse taper that permits sideways placements in a variety of cracks, flares and shallow seams. Kit yourself out with all the passive protection you need with DMM's Nut Set 3, featuring No.1-11 Wallnuts, No. 7-11 Alloy Offsets & No.1-4 Torque's all in one! 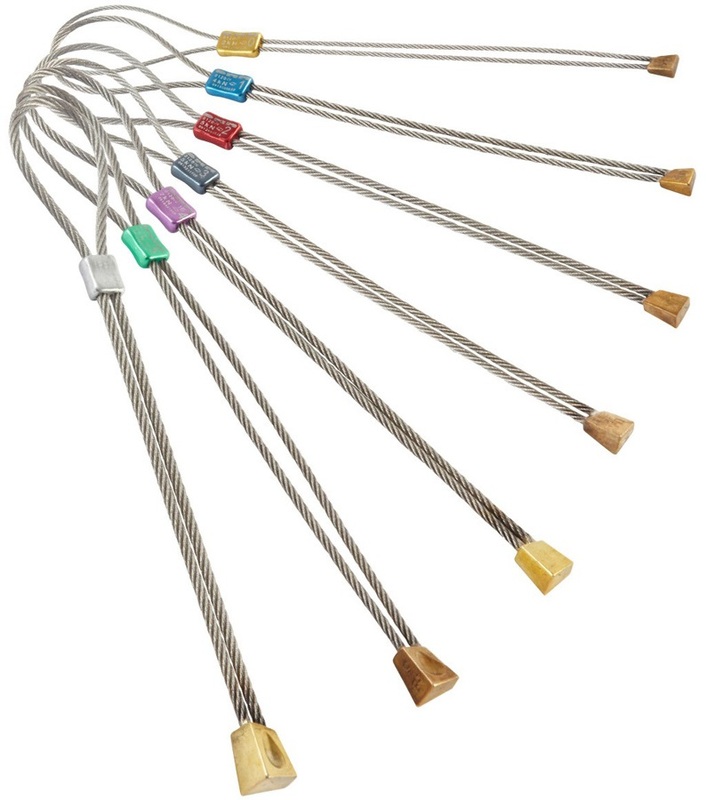 Great value, lightweight Anodised Rock Wire Nut by Wild Country - size 10. Wired Black Diamond Hexes No. 4-10 racked on an OvalWire carabiner.